A national organisation for lay people and clergy, to foster a deeper understanding of the faith in the context of the contemporary world through talks, discussions and workshops at a local level and through national conferences. 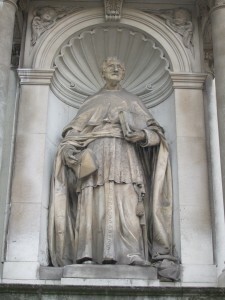 Named after Cardinal Newman, who supported the need for an educated laity, the Association is the British member of the International Catholic Movement for Intellectual and Cultural Affairs, “Pax Romana”. It is organised through local circles around the country. Manchester and North Cheshire Circle Meets on the first Monday of the month from October to June at St Benedict’s, 10 Hall Rd., Handforth, Cheshire SK9 3AD. Talks commence at 8.15pm preceded by Eucharist at 7.30. Visitors are welcome. Hon Secretary: Dr Chris Quirke, 29 Spring Rd, Hale, Altrincham, Cheshire WA14 2UQ.